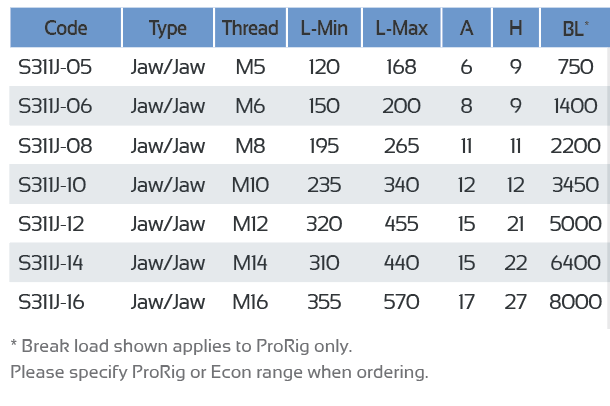 The ECON Jaw/Jaw Bottlescrew consists of two (2) AISI 316 marine grade stainless steel Threaded Jaws, also known as Threaded Forks, screwed into each end of a spun stainless steel threaded pipe, or Bottlescrew. 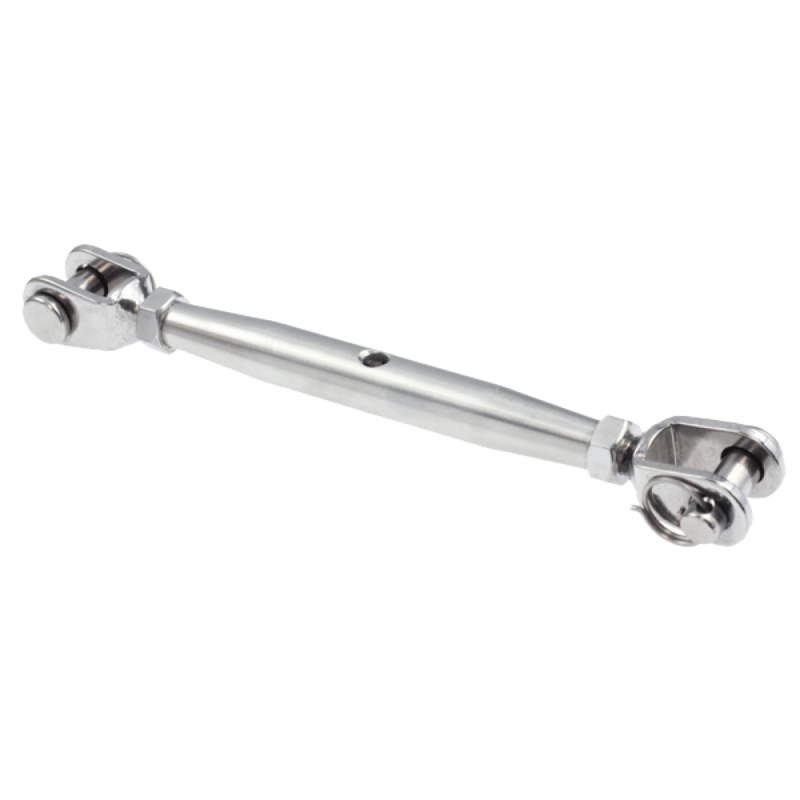 Miami Stainless Threaded Forks are cast AISI 316 marine grade stainless steel with forged AISI 316 marine grade stainless steel pins and are designed to attach to a wide range of stainless steel fixtures and fittings such as stainless steel wire rope with Thimbles and Swage Sleeves or Screw Eyes and Eye Bolts. * Break load shown applies to ProRig only.